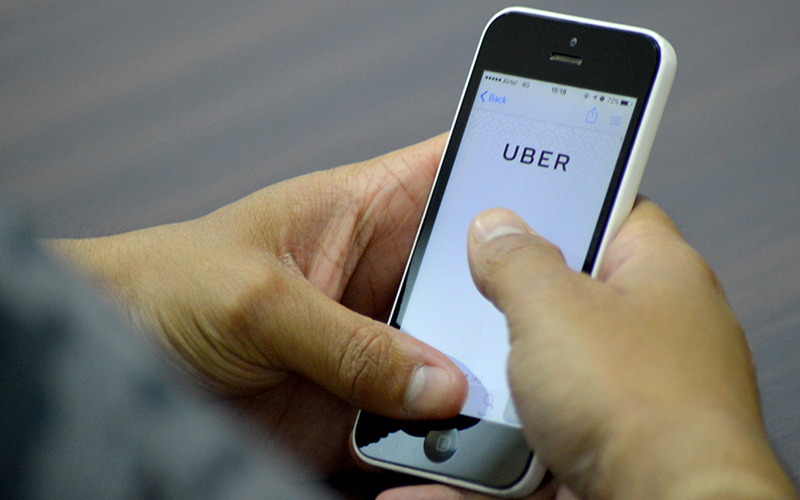 Cab-hailing firm Uber Technologies Inc. is testing a number of features for emerging markets like India, as it looks to win potential customers who are either offline or have slow Internet connectivity. The company has rolled out a light, web-based version of its mobile app for users with basic smartphones, besides enabling booking on desktops and tablets. It is piloting three other features, namely, offline search, remote booking for non-users, and a 'call-to-ride' option where users can call a cab based on a number and code displayed at popular locations. While the web version of the app has been released in India, the call-to-ride feature is being piloted in Pune. Offline search and remote booking features are likely to be launched in the next few weeks. Though these features are being tested in India, they would be implemented worldwide in emerging markets depending on the pilots' success, a group of company executives headed by Daniel Graf, vice president and head of product at Uber, said in Bangalore on Friday. The light web version, m.uber.com, targets users with basic smartphones that may not support mobile apps due to storage limitations. The web version can also be used to book rides from a tablet or a computer. Uber is piloting call-to-ride to attract riders using basic feature phones, users in an area with limited network, or those with a smartphone but limited memory capacity or mobile Internet. The company is putting up billboards at popular locations that will feature a single nationwide phone number and a specific four-digit area code. Users can call the number and enter the code displayed on the signage to book a ride. The global online taxi provider is also testing an offline search feature for those in limited network areas. Besides, Uber is evaluating a feature wherein users can book a ride for another person located elsewhere. The guest does not need the Uber app or even a smartphone. The person requesting the ride needs to tap ‘where to’ and choose ‘who is riding’. The rider will receive trip information via a text message with information such as estimated time of arrival, car type and driver contact. The ride will be charged to the requestor’s card on file unless the requestor selects cash as the payment mode.